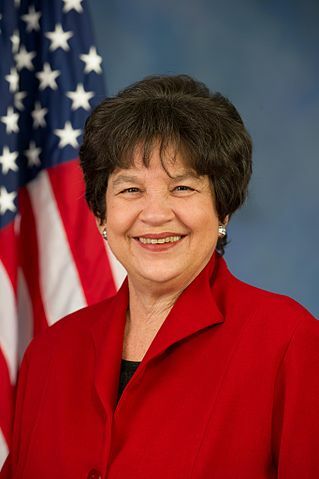 Lois Frankel is an American Jewish attorney, congresswoman, and former mayor. Born Lois Jane Frankel on May 17, 1948, in New York City, Frankel earned her BA from Boston University in Massachusetts in 1970. She earned her law degree from Georgetown University Law Center in Washington, D.C. in 1973. The following year, she moved to West Palm Beach, Florida. In 1986, Frankel ran for and won a seat in the Florida House of Representatives as a Democrat. She served in the Florida House from then until 2002, when she left office due to term limits. While in the House, she was the State House Majority Whip, and from 1995 to 2002 she became the first female House Minority Leader in Florida’s history. In 2003, Frankel defeated the incumbent and won her election for mayor of West Palm Beach. During her tenure as mayor, Frankel brought countless “jobs and opportunity to the city … oversaw the remarkable revitalization of the downtown district and made West Palm Beach a more attractive place for companies to do business,” her congressional campaign website stated. Frankel has been a champion for seniors, families, and small businesses. As the mother of a U.S. Marine veteran, she knows what true family sacrifice means. She is committed to protecting Social Security and Medicare, and believes in tax breaks for the middle class and eliminating loopholes for large oil companies. After two terms as mayor, Frankel left office, again due to term limits. In 2012, Frankel was elected to the U.S. Congress after defeating Republican Adam Hasner in the election for congressperson of Florida’s 22nd congressional district. She won re-election in 2014 after running unopposed in the primary and defeating Republican Paul Spain in the general election. She was reelected again in 2016 and 2018.